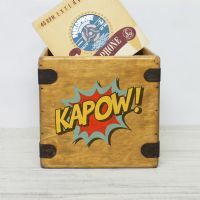 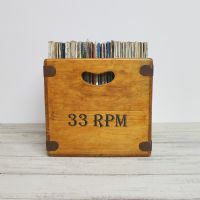 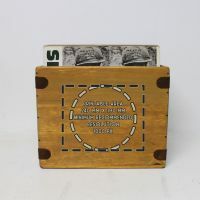 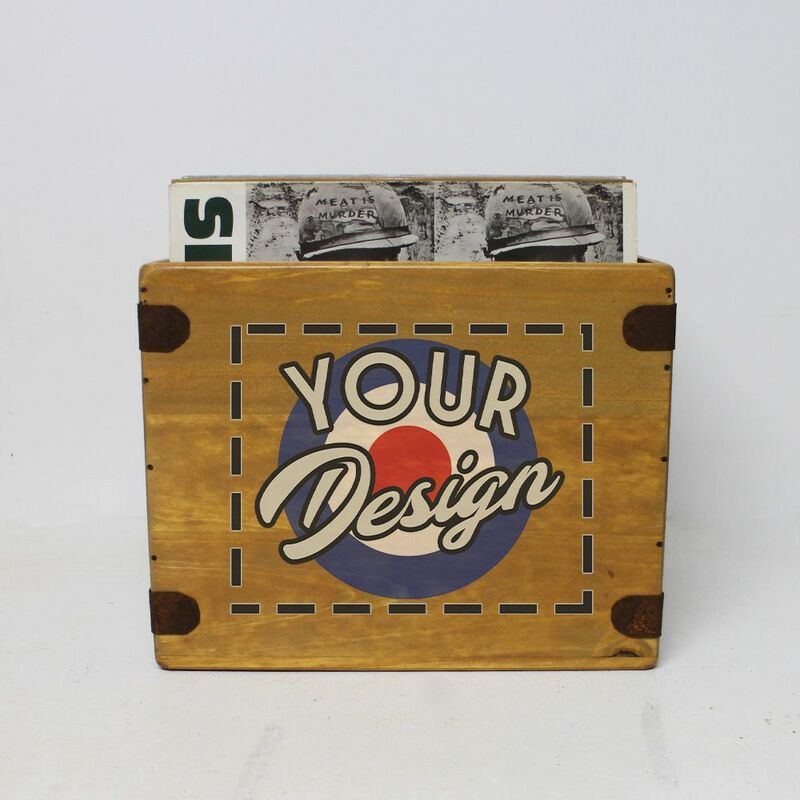 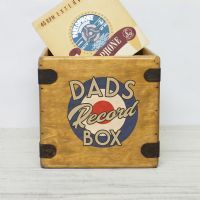 Retro Wooden Album Crates With Your Own Custom Prints. 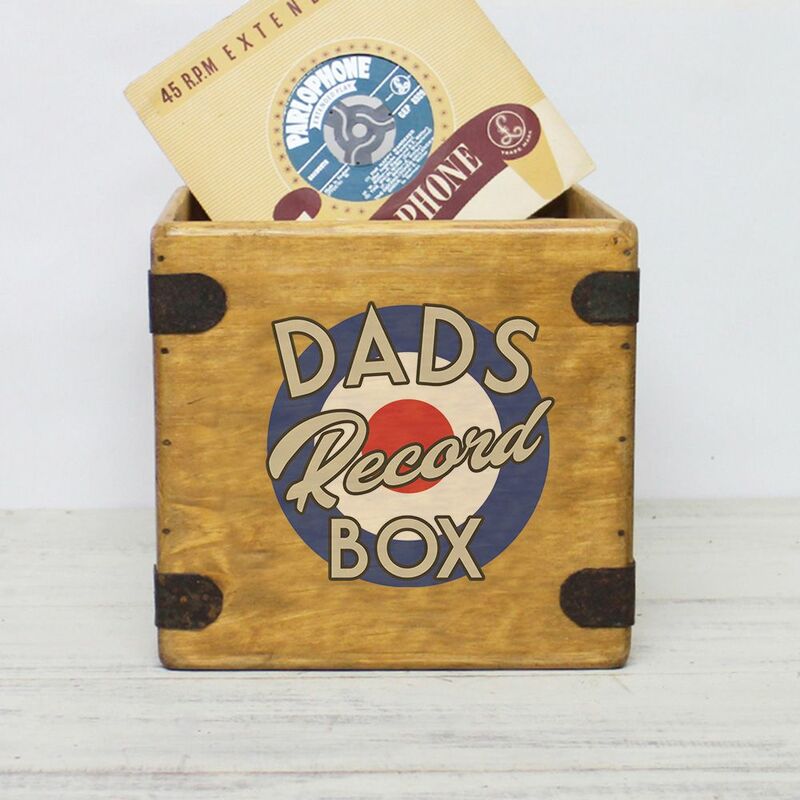 Upload your chosen picture or design & we will print it onto the record box size of your choice. 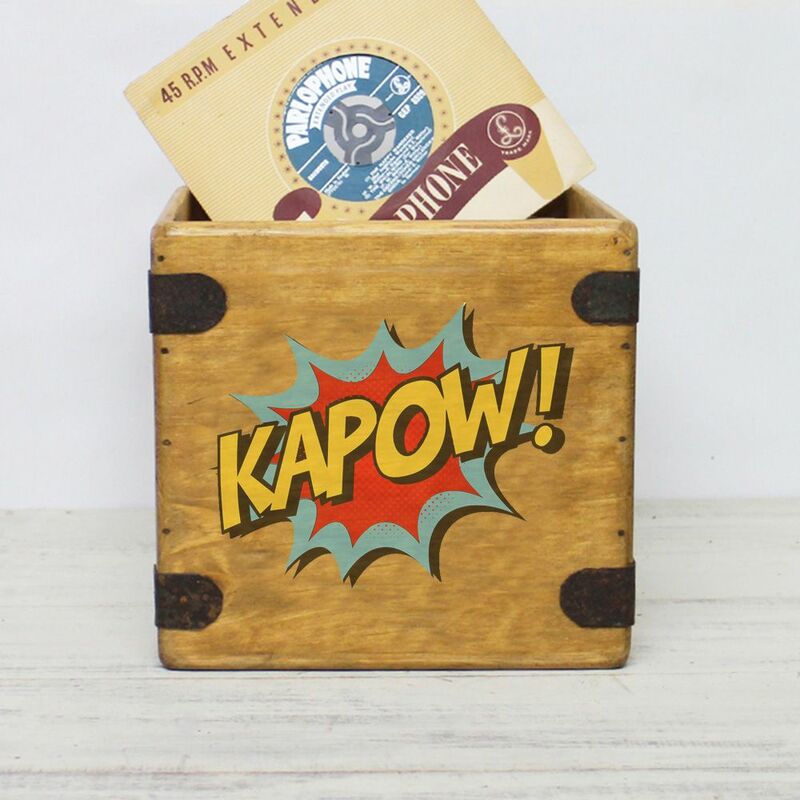 The designs are printed are directly onto wood so colours & fine detail can differ slightly from original image. 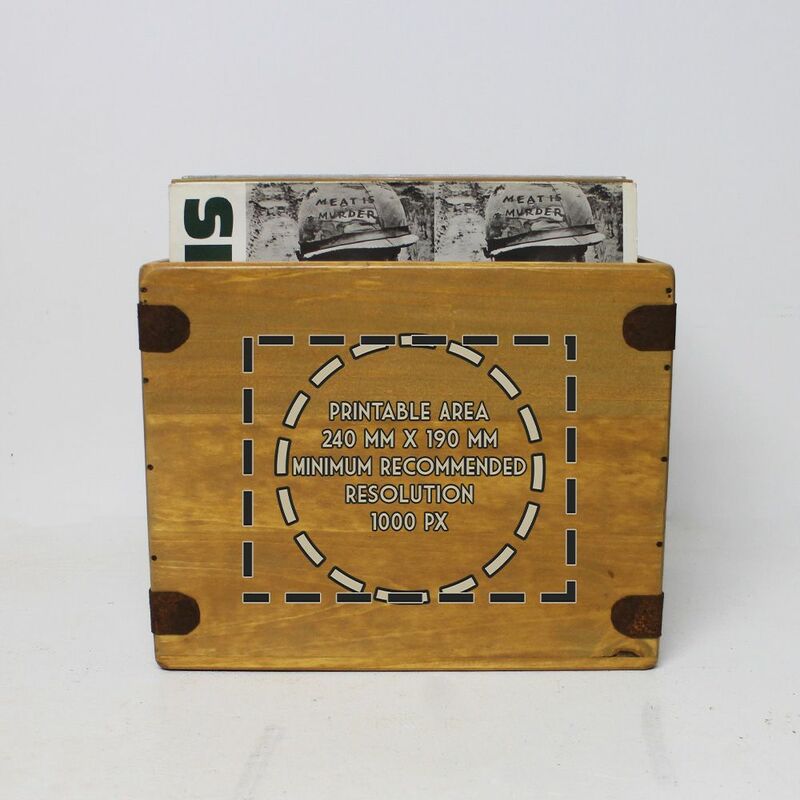 Smaller images can cause a reduction in print quality. 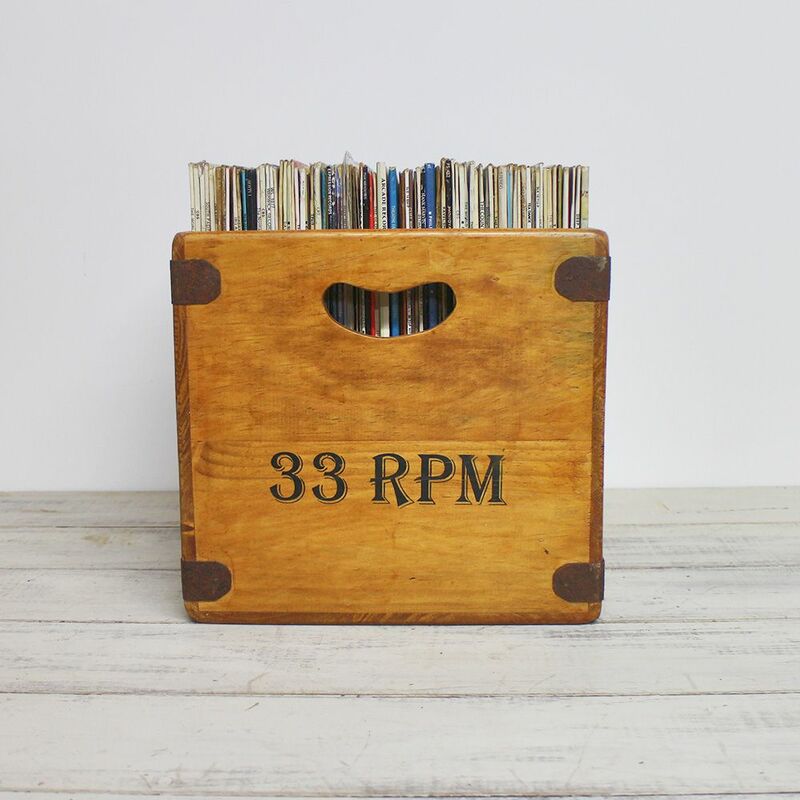 Side images are standard round 33 or 45 rpm logos unless specified.